April and May are notoriously busy for those in the patio cleaning trade however regardless of the time of year, there has never been a better time to rid your patio of weeds, dirt and stains. 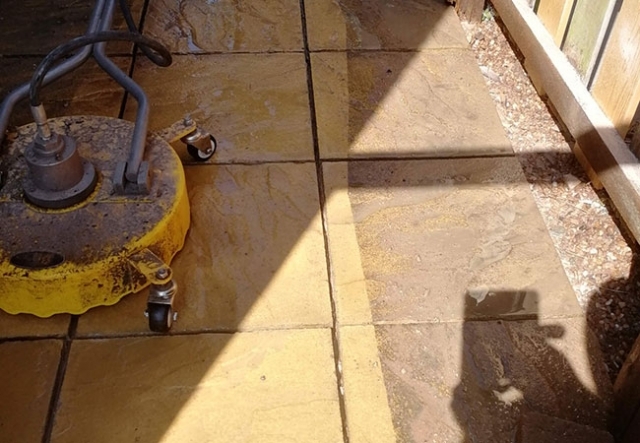 Here at RMS Building Services, we employee the use of our commercial pressure cleaning equipment to return life and vibrance back to your patio. 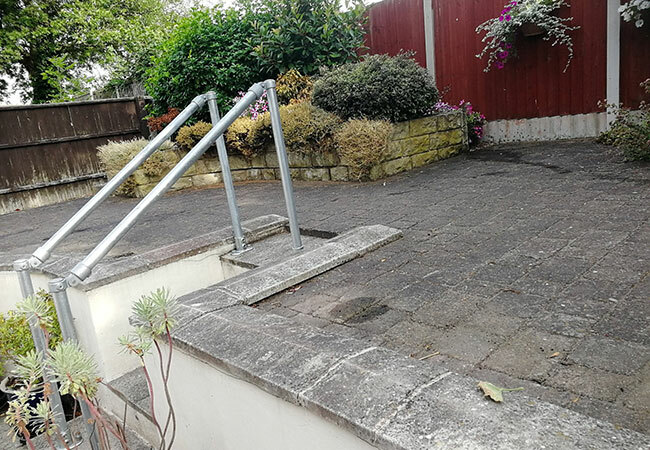 Regardless of the size of your patio, we can provide a free no obligation quote and carry out the necessary, messy work involved. We’ll remove the weeds, jet wash the dirt and grim from your paving slabs and then expertly re-sand or re-point – the end result, a patio or path that looks practically as good as new! 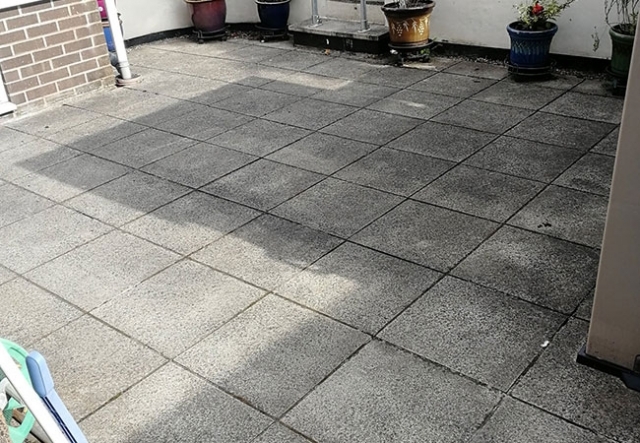 Book your free quote with one of our friendly team by contacting us, so we can advise on how best to clean your patio and provide you with a competitive price. Be the envy of your friends when the weather warms back up with a transformed outdoor living space, thanks to a pristine, clean and presentable, outdoor patio. 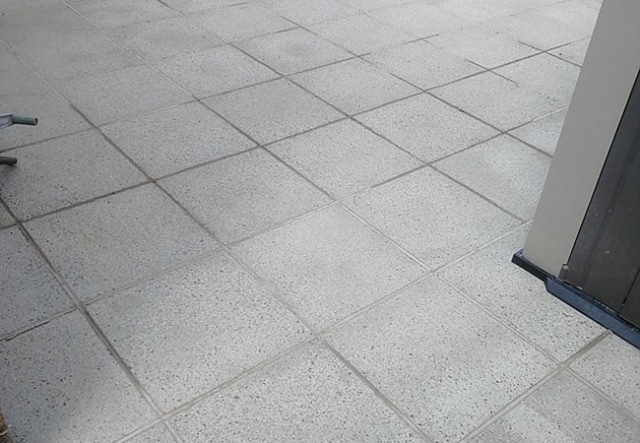 4 Facts About Patios You Need to Know! 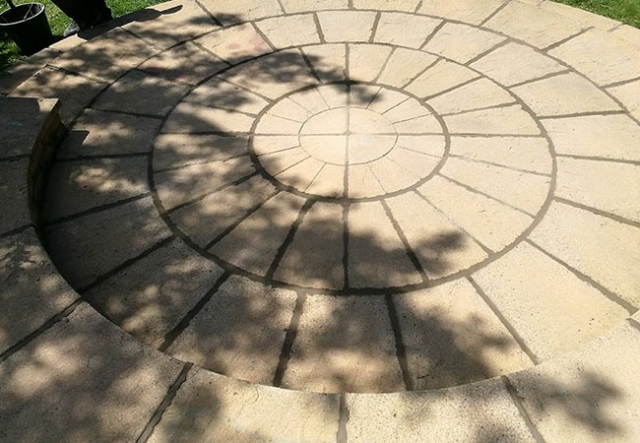 Over time algae and dirt will naturally build up on the surface of your patio – this can make your patio a slippery eyesaw, especially during the colder, winter months. As the temperature drops, the blockwork of a patio retains moisture. 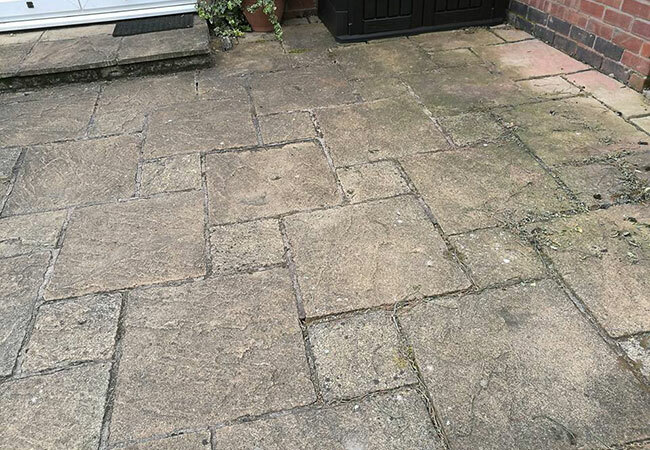 This combination of dirt and water can then result in frost damage. 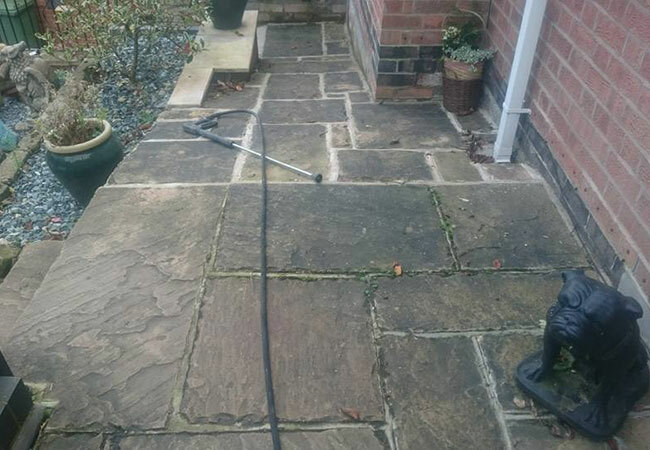 Once your patio has been professionally cleaned, its best to regularly brush away any leaves and other debris. 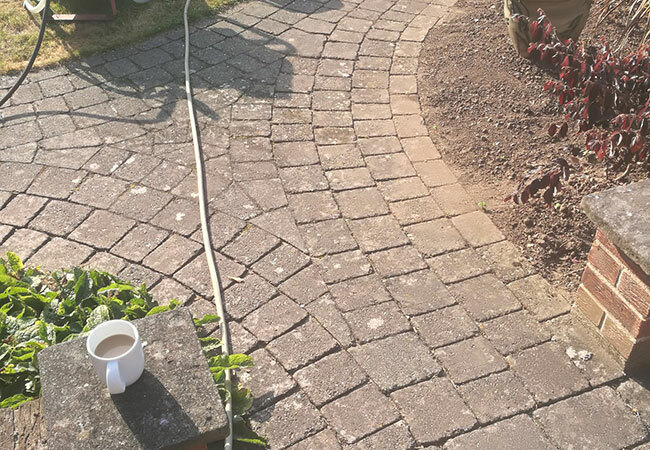 By doing this you’ll also brush away any seeds that are trying to germinate and take root. 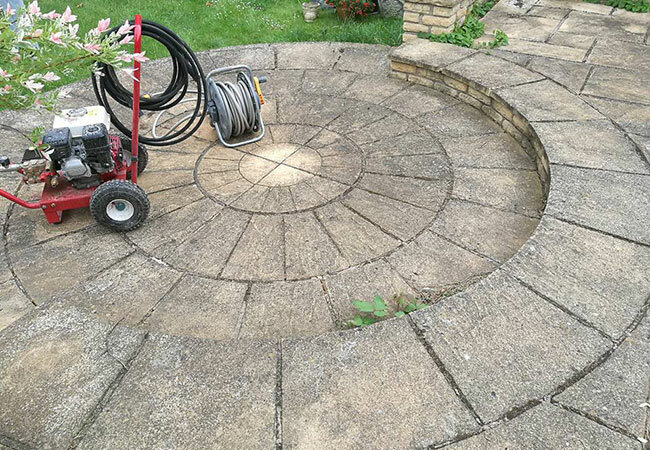 Whether you have a massive patio where you spend much of your summer months, a small sun trap where you like catching some rays or a paved pathway that needs some tender loving care, our patio cleaning service will give your outdoor patio a new lease of life. Take a look at just a couple of our more recent customers to see the difference a professional patio cleaning can have on your patio or path. 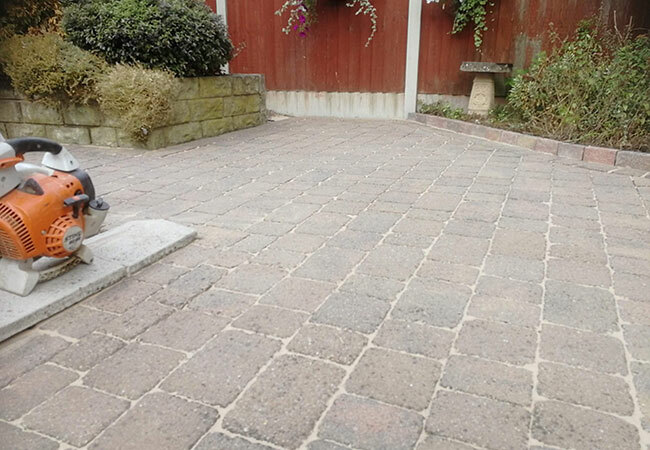 We don’t just do patios however, take a look at our driveway cleaning service as well. 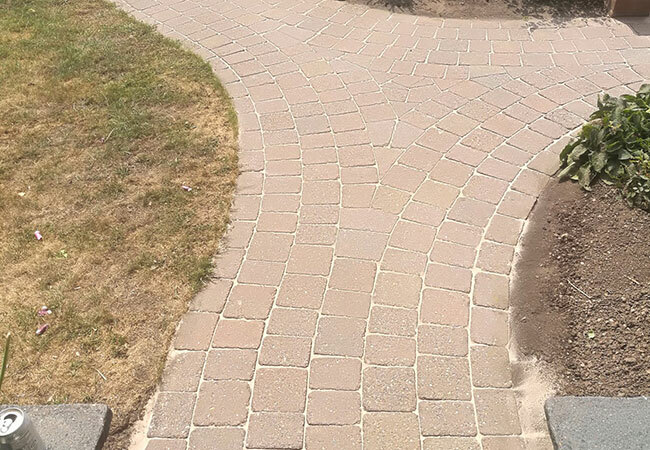 We never presume anything, that’s why we always take a proper look at your patio or path before we quote. 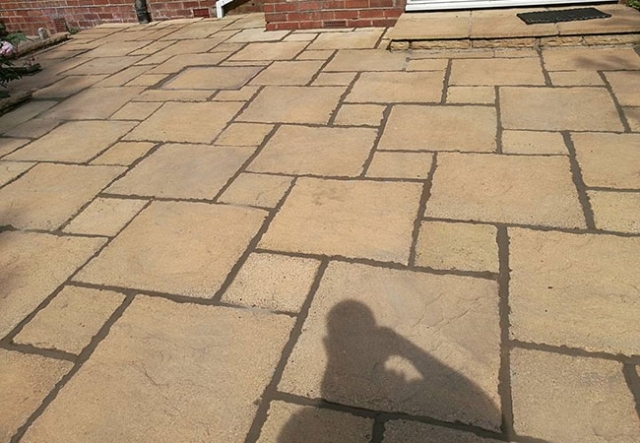 The type of patio slabs, the size of your patio, the need for any chemicals to remove stubborn stains or algae, as well as the need to re-sand or re-point, all play a role in determining how much it will cost to professionally clean your patio or pathway – notably we do offer very competitive pricing! 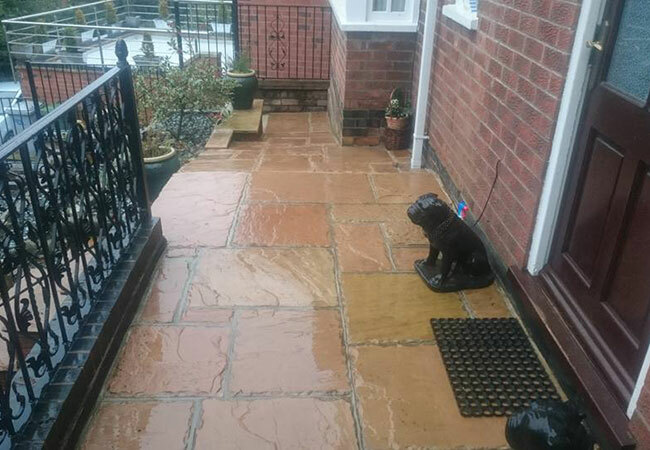 Why not contact us today and see how your reliable, friendly Nottingham builder can help return your patio or path to its former glory.